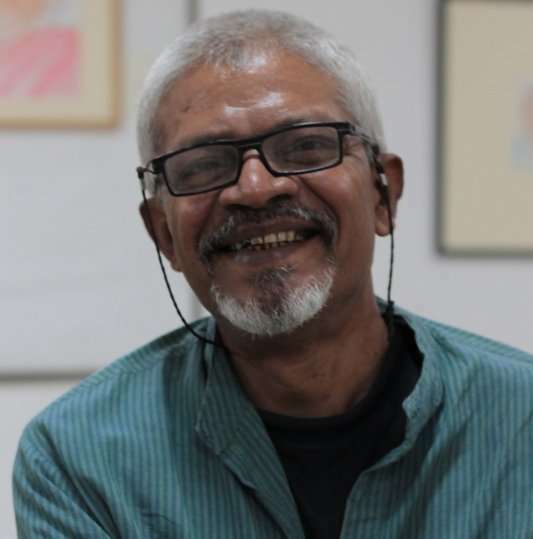 Born and brought up at a time when the City of Pearls started flourishing, Satya Srinivas is a Social Ecologist, Writer, Poet, Painter and Photographer. While working with the Academy of Gandhian Studies on several government projects, he travelled many rural areas and forests in order to make the rural and tribal population aware about the environment around them. He started photography as a means for documentation but, soon became a passion. This passion branched out to other forms like poetry and painting. His style is simple and perceptive. He has published his poems in Telugu (Inka Sagam) and in English (Floating Tree). He’s recently held his solo painting exhibit called ‘#20 Memoirs’ at Goethe Zentrum, which was a tribute to twenty mothers and grandmothers that he grew up around. He will soon be putting up his photographs for sale under the name “Glittering Leaves”.